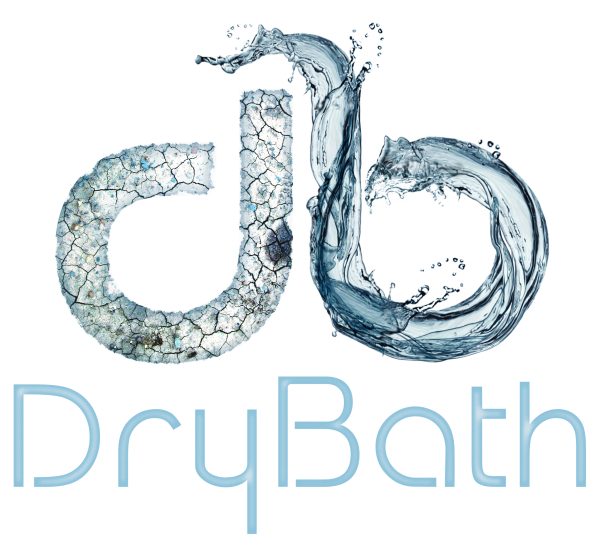 This is where we share the stories of how our DryBathers experience and use our awesome gel. 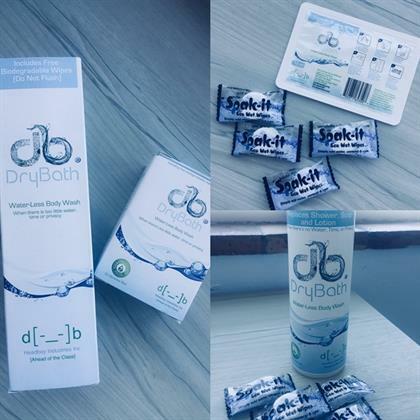 ONE 250ml bottle of DryBath® lasts for 15 washes. A bottle lasts for a month if you use it 3-4 times per week! 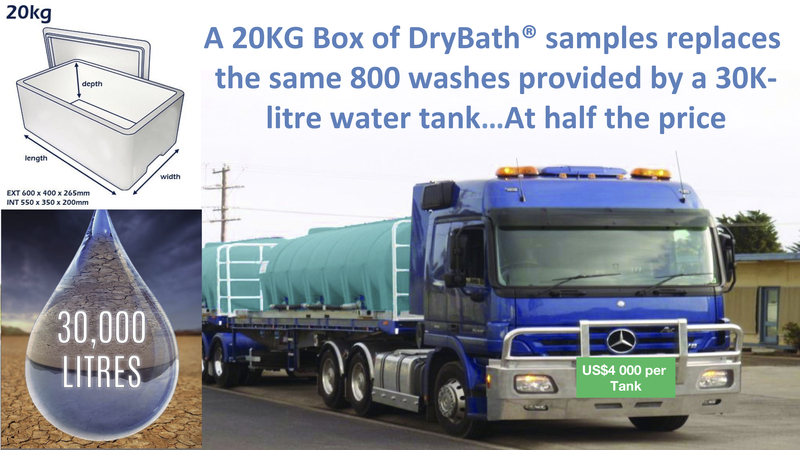 ONE DryBath bottle can cut your bath-water needs by up to 50% Monthly. Buying it on the #DryDays campaign also gives you a 50% discount on the price, so share it with friends and family! 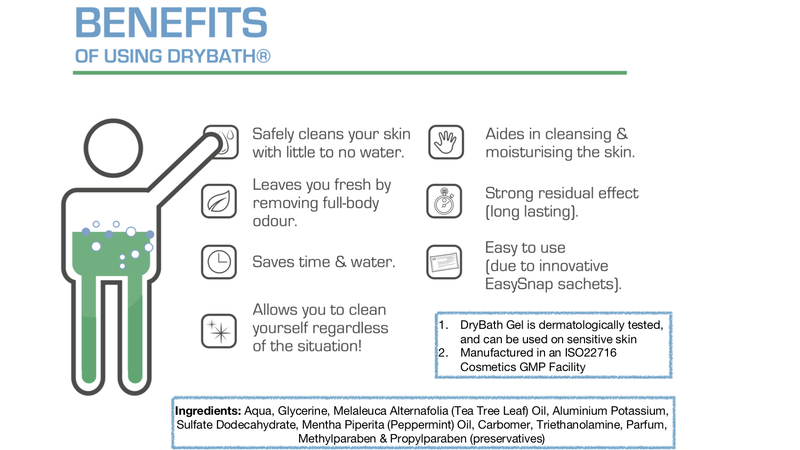 Why the DryDays Crowdfunding campaign? We’re taking on the challenge to make our gel Accessible & Affordable to all income groups across the world. 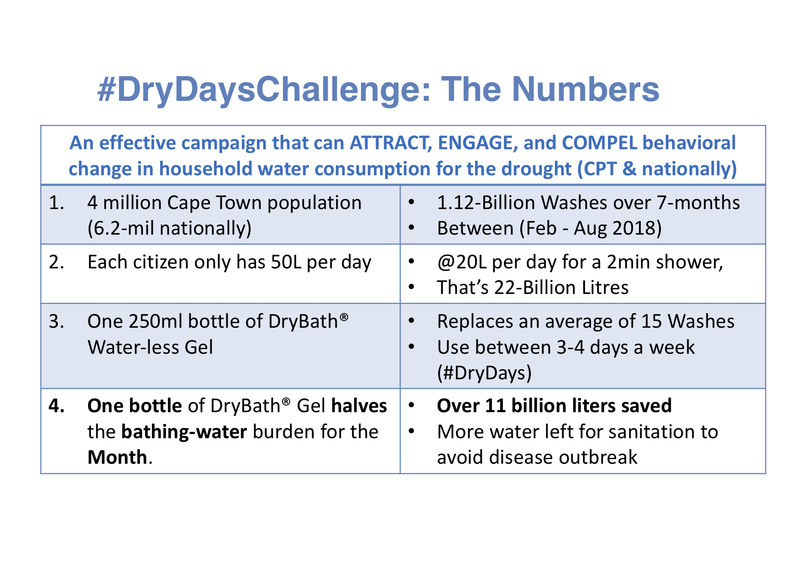 Our DryDays Crowdfunding campaigns run dynamically, focussing on regions/cities that are experiencing extreme drought or water shortages. The gallery is a great repositoty of how they all went.